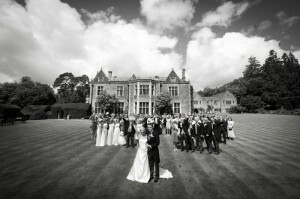 A typical day of wedding photography – by Dave Powell Photography. I thought I’d write a blog post about the way I work and how I shoot a wedding. 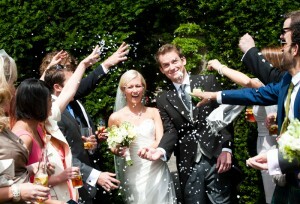 I’ll try and cover everything that happens during a typical wedding. From the timings and locations to the photographs themselves. Hopefully this will help you in understanding more how elusive wedding photographers work and what to expect when the big day comes. Every prospective bride and groom I meet asks me how I usually work and they are keen to find out how my plans would fit around theirs. I am always conscious that I’m seen as a compliment to their preparations and I always stress that I will work around their timings and not my own. If you book me as your wedding photographer you are booking me for the whole day. 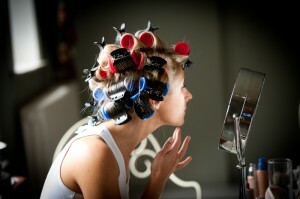 I start early in the morning with the bridal preparations and usually finish just after the first dance. I don’t really have any set times that I work. 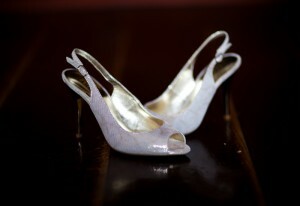 As every wedding is different I find it’s important to be as flexible as possible. If you have any special requirements such as fireworks at midnight, feel free to ask me to stay. I usually meet up with the bridal party a couple or three hours before the wedding ceremony, depending on where they are getting ready. This is always quite an informal part of the day and I try and stay out of the way as much as I can. I’ll start with the ‘details’. The dress, jewellery and accessories. I’m often seen by a group of inquisitive bridesmaids, disappearing into the garden with a sparkly pair of women’s shoes in my hand. 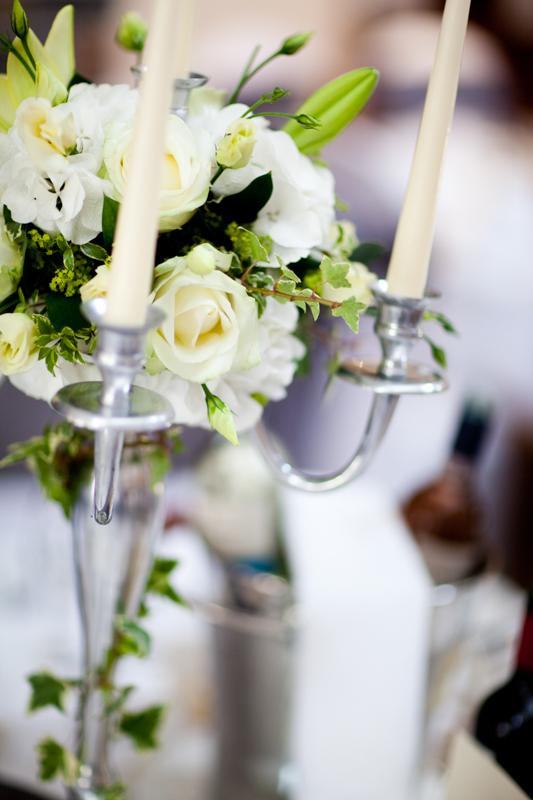 For all the ‘details’ I try and take a few shots from multiple angles as these images look great in the wedding album because they can be used as various backgrounds. The next hour or so I photograph the girls having their hair done and makeup applied. Again there aren’t many posed shots yet and I’m stood back with a long lens trying not to get in anyone’s way. 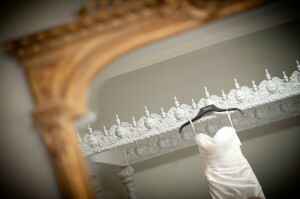 The next main shot on my list is of the bride, once the dress is on. I always set up a shot where the bridesmaids are doing up the back of the dress, under the supervision of the bride’s mum. It’s always an emotional shot and usually goes in the album. Once this is done, I’ll try to get the bride’s father to wait at the bottom of the stairs for his daughter. Again this is a great shot and if I can capture a tear from Dad, my work is done. If the bride and groom have booked a two photographer package, Jane will be with the boys during their preparations. This is always a different atmosphere from the girl’s house and the guys are usually a lot more nervous than the girls. Jane photographs the rings, cravats going on, cufflinks being done up and hair gel being applied. Then there’s usually a trip to the pub or bar for some fun shots of the boys looking nervous. Once they arrive at the venue or church, there would be some formal shots of the groomsmen and parents with the lucky man. I make sure that I arrive early at the church or venue so that I have a spare moment to chat to the vicar or registrar. It’s important, and courteous to speak to them and ask what they require me to do. Every church has different rules on what photography is allowed, what equipment can be used and where I can and can’t stand. Most churches are very accommodating and I will try my hardest to be as unnoticed as possible during the ceremony. Some churches however won’t allow photography at all so it’s always a good idea to check when you’re booking your wedding what photographs will be allowed. Registrars are also very helpful and as long as we’re not in anyone’s way, will allow us to photograph most of the ceremony. After the ‘first kiss’ and the exchanging of the rings are captured, I join the wedding party for the signing of the register. Once I have my photograph, I ask the rest of the guests if they would like to take their own. Right after the ceremony there is a quick photograph of the newly married couple in the doorway and then I try to capture as many photographs of the guests congratulating them as possible. While the guests are leaving I’ll spend a few minutes taking some family photographs. Parents, grandparents and siblings with the bride and groom. The all important confetti shot is next and I’ll set something up with the bride and groom surrounded by guests so that maximum ‘confettiness’ is achieved. Anyone with a camera is welcome to stand next to me and hopefully they’ll get the same shot. I’ll then take some photographs of the wedding car, some with the bride and groom and one with them in the back seat, sipping their champagne. I’ll get to the reception venue as quickly as I can so that I can take some photographs of the wedding car arriving. Everyone will want to congratulate the bride and groom and I’ll let them settle into the drinks reception while the rest of the guests arrive. I’ll usually double check the timings with the venue just in case anything needs to be tweaked and go to the room where the wedding breakfast will be held. 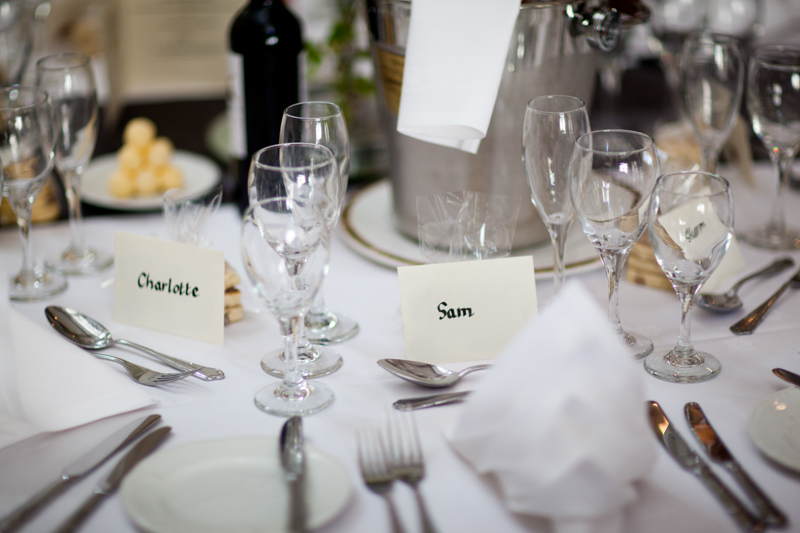 I’ll photograph the tables, place settings, wedding favours, head table, wedding cake and again I’m looking for the ‘detail’ photographs that will compliment the final wedding album. Once these are done I’ll wander around taking some candid shots of the guests. This gives the bride and groom a chance to relax a bit and I’m conscious that I don’t want to pressure them into their photography session right away. If the wedding car is still there. I’ll get some shots of it at the venue with the drivers. The large group photograph of the entire wedding party is always first. 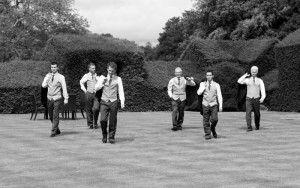 I’ll try to get the groomsmen to help me round the guests up and arrange the group into a nice arc around the bride and groom. Following this it’s easy to whittle the party down into smaller and smaller groups. For example, Bride’s family, Groom’s family, friends, extended family, parents and grandparents, parents. I always work with a shot list and I’ll again be enlisting the ushers so that we can work as quickly as possible. After the group wedding photograph I will give everyone a break and I’ll take 10 minutes to go and plan the bride and groom photographs. Even though I have photographed South Wales wedding venues many times, I think it’s important to try to come up with new and interesting ideas so that my couples receive a unique set of photographs. Also this means that I’m not wasting time thinking about the next shot when the bride and groom are with me. I try to keep this session as light hearted as possible and this is always reflected in the photographs. There will probably be a few serious wedding photographs taken but if the bride and groom have been laughing and smiling all day with their guests, why shoot their main wedding photographs as if they have just been given bad news. I’ll crack a few (bad) jokes and try to capture the happiness and love between the newlyweds. This, I feel is always a better reflection of the day. 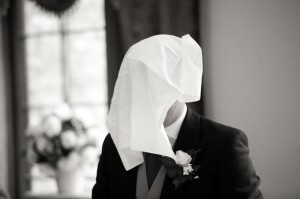 I’ll then photograph the bride and groom individually. A few of the groom looking splendiferous in his suits and of course, lots of the bride. I always ask the bridesmaids to accompany us when we are taking these photographs and they will help with the positioning of the dress, flowers and hair. Once we have completed the couple’s session, it’s onto the bridesmaid and groomsmen photographs. 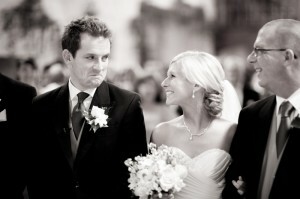 They are a mix with and without the bride and groom and are always fun. During the first couple of courses of the wedding breakfast I am usually to be found hidden in some corner, backing up the memory cards. I like to have at least three copies of every photograph before I leave the wedding. This is the old IT Consultant/Geek part of me coming out and it can never be said that you have too many backups. I’ll also be checking through the images to make sure I’ve got the shots that I need from all parts of the day. Once the speeches start I’m always back in the room capturing the laughter and tears that usually ensue. Once the speeches are finished I’ll wander around the tables taking as many guest photographs as I can. A lot of the time I can get the majority of the photographs unnoticed but rest assured, as soon as someone spots what I’m up to, the photos get funnier and funnier! The evening guests usually start to arrive around 7-7:30 so I’ll be back into ‘documentary’ mode. I’ll be wandering around with a long lens trying to capture people unawares and generally trying to ‘document’ the atmosphere of the day. 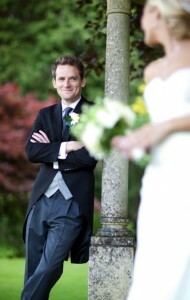 If there are any couples at the wedding I will ask them if they would like their photograph taken. I’ll then email the photograph to them after I have finished the editing. I find it’s a nice service to offer the guests and the amount of referrals that I have had as a result of this has been incredible. Before the first dance I’ll have a quick chat with the DJ to confirm the timings and talk about anything unusual that might happen. Believe me if anything unusual is going to happen, this is when it will happen. 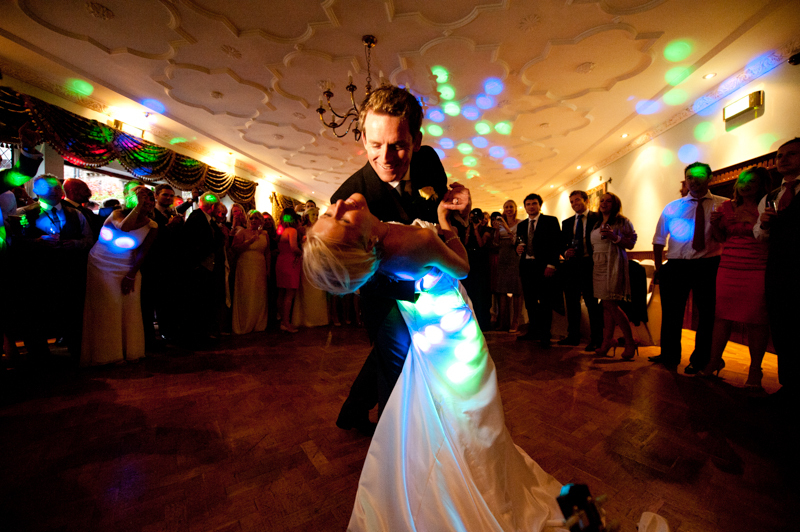 I’ll hide a couple of flashes around the dance floor so that I can guarantee I get the perfect exposure. This is just in case the DJ’s enormous array of multi-coloured lights suddenly burst into life. I’ll then stay near the dance floor for a while to capture the guests dancing and hopefully the bride dancing with her father. Because I’m at the wedding all day there is loads of spare time for me to come up with new and interesting photographs. I think it’s important not to be seen as a burden to the bride and groom and I’ll always fit in around their timings and plans. I think it’s better to have 15 minutes here and 20 minutes there spread out over the day, rather than dictate a solid block of wedding photography at a set time. If the bride and groom aren’t happy at all times during their photography session then it will definitely show in their photographs. 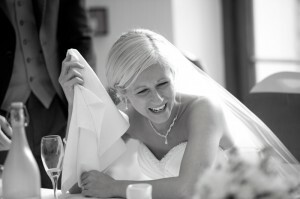 If I can make them laugh or smile then wedding photography becomes easy! Below is a video kindly supplied by Martin Philips of Razzlecam Productions. He was with us at The Miskin Manor for the wedding of Emma and Ben. I’ve worked many times with Martin and he never fails to produce these incredible wedding films.